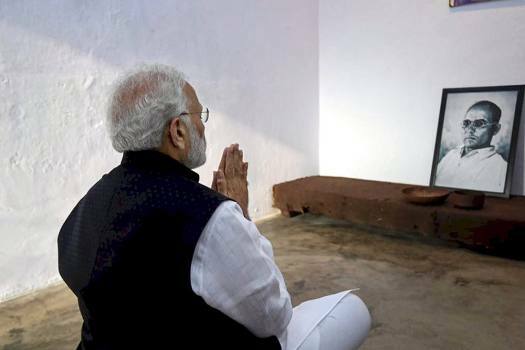 Prime Minister Narendra Modi pays homage to noted freedom fighter Vinayak Damodar Savarkar in the premis of Cellular Jail in Port Blair. 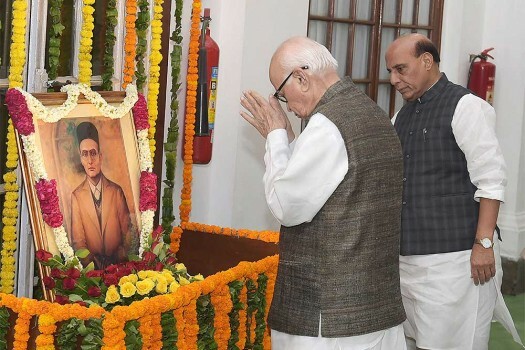 Home Minister Rajnath Singh paying floral tribute to Vinayak Damodar Savarkar on his birth anniversary at Parliament house in New Delhi. 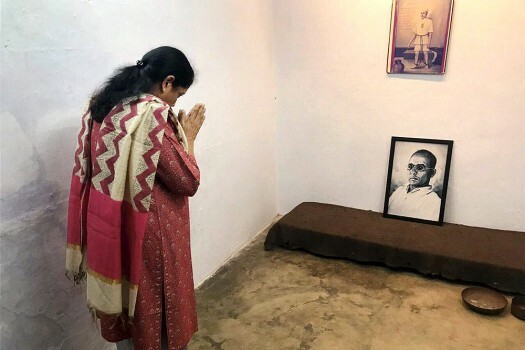 Defence Minister Nirmala Sitharaman visits Veer Savarkar Cell at Cellular Jail, Port Blair in Andaman & Nicobar. 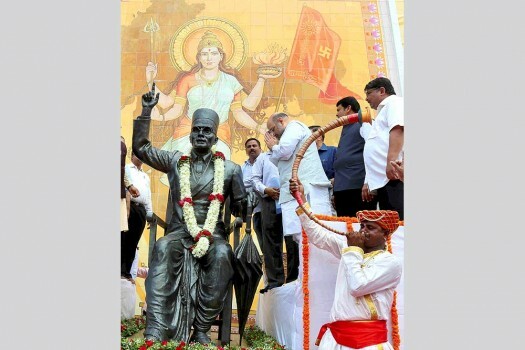 BJP National President Amit Shah paying tribute to Veer Savarkar in Mumbai. Maharashtra CM Devendra Fadnavis is also seen. The forces are our last bastion against communalism. Can anyone contest it? All the headlines grouped by numbers for those of you who might like to be numerologically inclined or wish to see patterns or groupings. Jusht. Savarkar is credited with coining the term Hindutva to create a collective "Hindu" identity as an essence of India. Many see BJP's revision of history as a way of saffronising education and glamorizing one side of the history while eliminating the other. 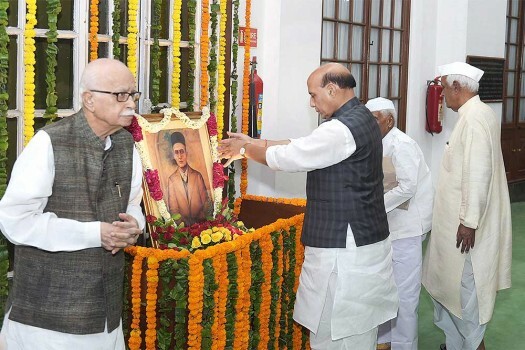 An uncovering of such a ‘truth’ would conveniently absolve Vinayak Damodar Savarkar of his part in the death of the man later called the ‘father of the nation’. Competitive identity politics demanding monuments and statues for icons by forcibly "occupying" government land gets a lashing for Maharashtra government from the Bombay High Court. But is anyone listening? Any visitor to Delhi from a fresh air situation knows 40 kilometres away that he is nearing the metropolis by the sweetly sick smell of sewage that clings to the air.